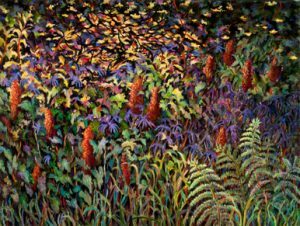 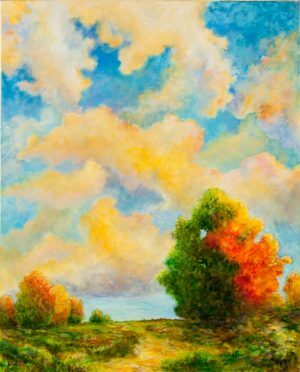 Ranging from old world interiors, classical views of northern Michigan, to abstract works in vivid colors, William White’s oil paintings challenge a viewer to become a participant in the artistic process. 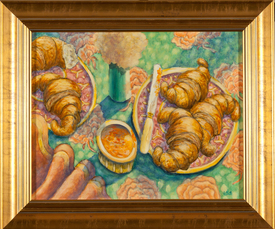 Bill uses simple subjects to create complex scenes with intricate details. 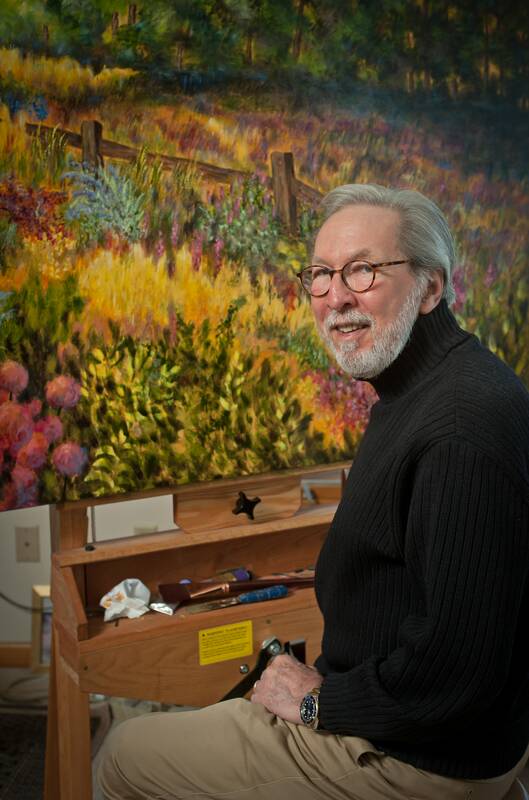 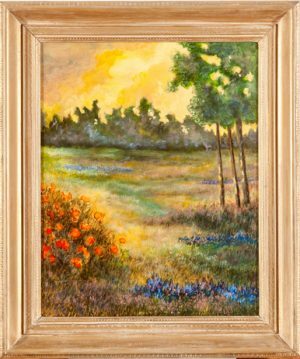 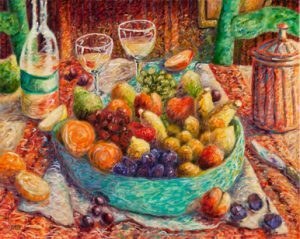 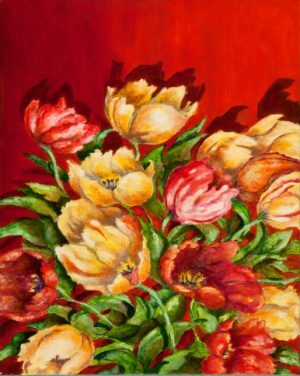 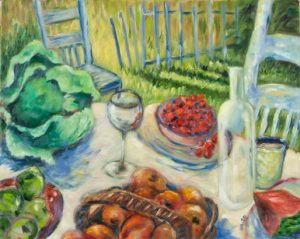 The vibrancy of Bill’s work demands a viewer’s attention in any setting. 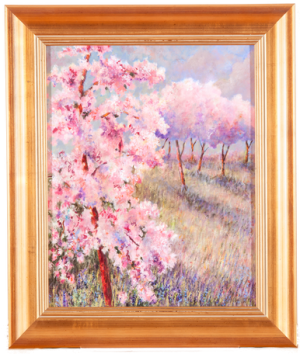 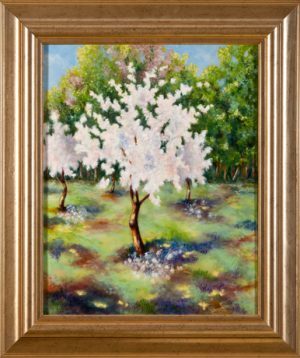 Springtime in all its glory shines in William White’s Crabapple Grove. 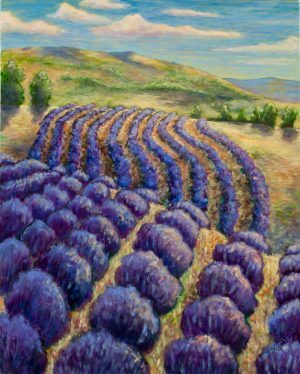 You’ll want to wander and sniff and immerse yourself in these “Fields of Lavender” as painted by William White. 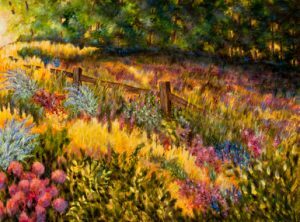 “Garden’s Edge” by William White captures the beauty of a landscaped garden alongside the wilds of nature, topped off by beautiful light.